Original rugs, blankets, vests, coats and accessories originating from over 100 years of tradition in New Mexico. Every piece from Ortega’s is an original. Custom order, custom fit and custom design. 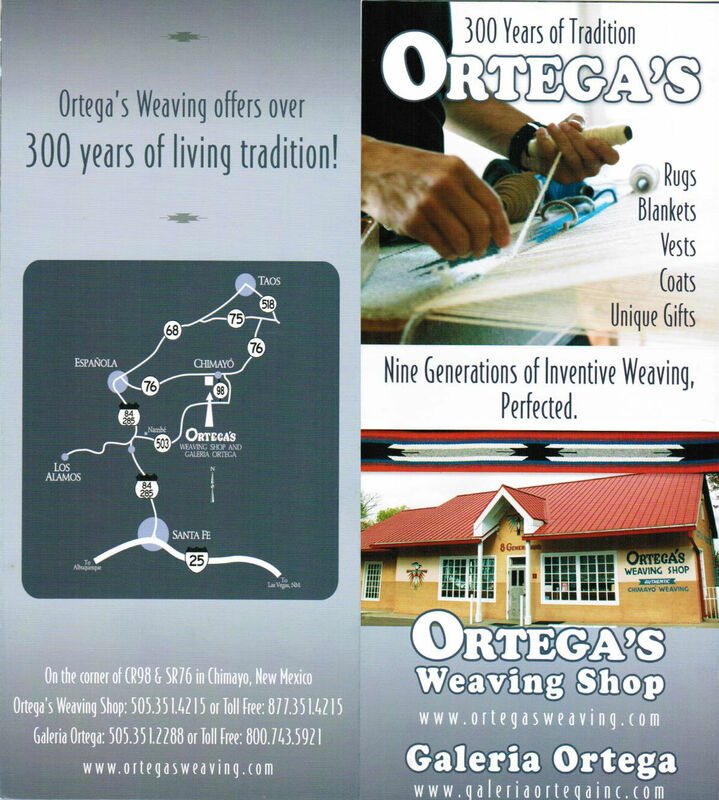 Ortega’s tradition began with rugs and blankets. Today they grace hardwood floors and love seats around the world. Blankets are woven of a lighter weight, finer yarn, and are soft and comfortable as a throw or on a bed. Rugs are durable for lifetimes of floor use and are a luxury to bare feet. Measure your space and we’ll make it fit and match its surrounds exquisitely. The Ultimate Icon of the Southwest.